In the above interview with CNN's Erin Burnett (16 February 2012), Paula Broadwell gives her opinions regarding Iran, its anticipated nuclear capability and the geopolitical ramifications of possible military intervention. At several times during the interview, Ms. Broadwell exemplifies a pseudo-blink with her left eye (e.g. 0:37, 1:06 and 1:28). This unilateral nonverbal is characterized most often by a partial blink (although it can sometimes involve complete eyelid closure) and is reflective of an alpha personality with a strong point of view. This body language is displayed by those who are very confident in their opinion and individuals in a position of relative power. It's an attempt by the subconscious to create rapport through false-familarity and when coupled with other nonverbals, paralanguage and verbals - even false-affection. It's also a signal that they're not receptive to taking in new information, but only interested in advancing their position or agenda. 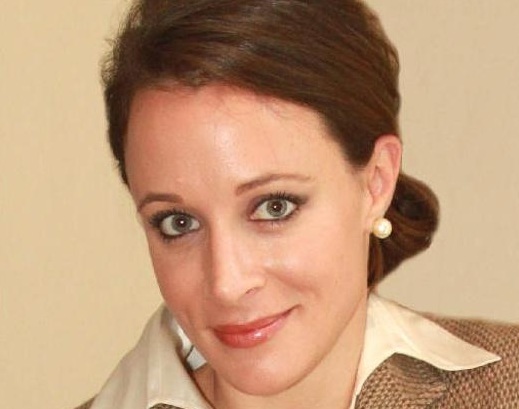 Paula Broadwell has a very alpha personality. The pseudo-blink can be mistaken or confused with the unilateral partial eyelid closure sometimes seen with incredulity (as Erin Burnett examples at the 0:11 mark) or that which may accompany contempt or disgust. Paula Broadwell is alleged to have had an extra-marital affair with former CIA Director and Four Star General David Petraeus. Broadwell is the Petraeus' Biographer (All In: The Education of General David Petraeus) - herself a West Point Grad ('95) and currently holds the rank of lieutenant colonel in the U.S. Army Reserves. Petraeus met with Barack Obama on 8 November and offered to resign. The President accepted Petraeus' resignation on 9 November 2012. Nonverbal Communication Analysis # 1871: Barack Obama Explains His "Private Sector is Doing Fine" Comment - The "Dominant Spider" vs.The "Split-Finger Fastball"